Welcome to our Learning Cafe page! Scroll down and you will see all the different types of cafes we have been running since September 2015! Cafes this Autumn Term 2018! WOW! What a wonderful term we have had! Thank you to all who have attended! We hope you have enjoyed them as much as we have! Year 3 will end the term with a lovely Christmas cafe next week! Keep a look out on Parent Mail, on our Facebook page or in the above link for a cafe near you!! Thank you for your continued support with our cafes! Thank you to everyone who joined us for our Co-operative Learning Cafe this afternoon. We hope you found it interesting to learn about how we use Co-operative Learning in school and the benefits we are seeing. Apologies to those who were on the waiting list or could not attend due to swimming lessons, we will run the cafe again after the Christmas holidays. We had a great time in Class 17 at our Yoga Learning Cafe on Tuesday. We learnt about the benefits of yoga, practiced some key poses then made 'yoga dice' to encourage us to practice yoga at home. Thanks to all the parents who came. 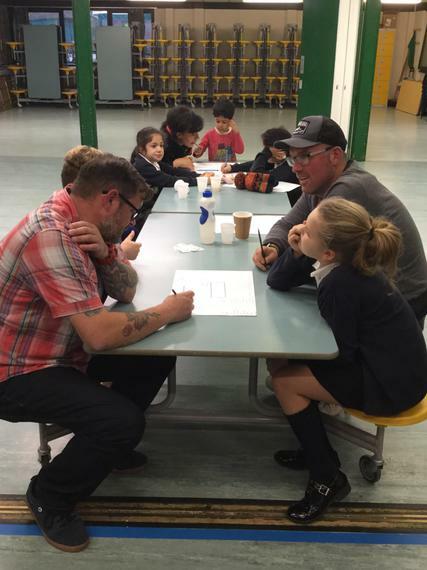 Year 2 were starting the science part of their summer topic with planting a sunflower seed and invited parents to a cafe to help them out! First we learned some information from a non-fiction book about sunflowers. Next, we went to our classrooms and designed the life cycle of a sunflower on a plate using craft materials. We finished off with each one of us planting a sunflower seed and getting prepared to observe them growing. Miss. Corden has asked class 7 and 9 not to be disappointed when Class 8's sunflowers grow the tallest! Watch these space! and made their own bead strings! What did they use them for I wonder? Having great fun using resources to make numbers! Hello - We're the Romans! and everyone enjoyed studying the artefacts on show! Can you work out the answer from these lovely photographs? Looks like you had a lovely time Class 7! 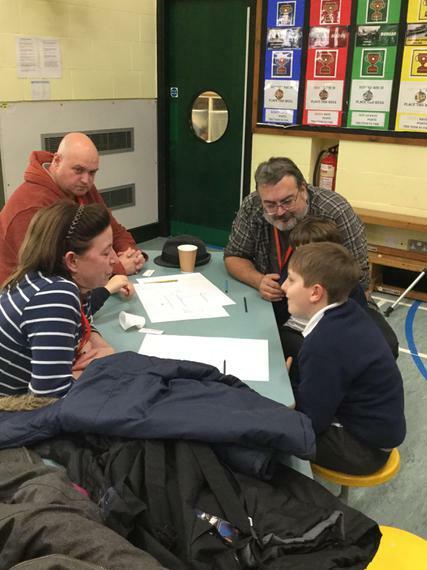 Well what a fabulous afternoon we all had yesterday at our GR8 AS U R learning café, with almost 50 parents, including lots of dads, and over 75 children (varying in age from babies to Year 6). The hall was jam packed! Mrs Stocker started by explaining that for the past year infants have taken part in this pilot scheme and that it has been extremely successful. From next week it would be rolled out into juniors too. Everyone enjoyed the fun packed activities, making friendship bracelets, friendship placemats and recipes for friendship. Several parents commented that the activities chosen were accessible to every one of all ages. Thank you to all those who attended our sculpture learning cafe this afternoon...we had a great time making recycled sculptures from scrap metal and random junk inspired by the artist Jean Tinguely. Have a look at our efforts! Class 18 had a fabulous afternoon getting mucky today. The afternoon started with a story 'The Fire Children', followed by a demonstration and then everyone had a go at making a pot. 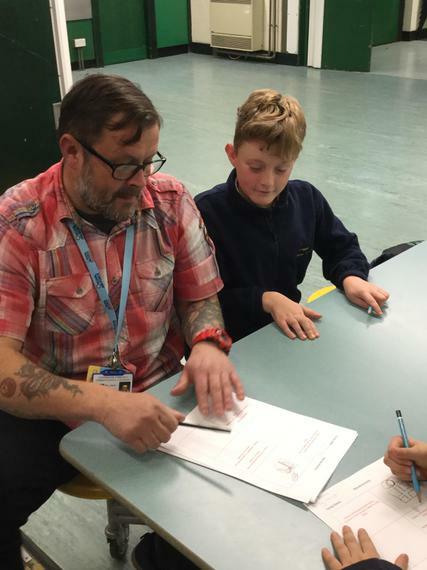 With 12 visitors which included parents, grandparents and a little brother too, as well as 5 members of the school's Year 5/6 Pottery Club to help. Everyone made a coil pot, these varied in size but essentially everyone had fun. The afternoon ended with tea and biscuits for the adults and a drink and biscuit for all the children. If you attended and would like to leave feedback, feel free to comment below. annual campfire fun activity and we invited the parents to join us! You can see that lots of fun was had by all! made rockets; balloon bangers; jam jar fireworks and a cola fountain! Each class ended the afternoon with a 'firework display' with sound effects! Thank you to everyone who came and along and supported us! weekend when enjoying your campfire and firework fun! and parents were taught about the Jewish celebration of Sukkot. Ours look great don't they? Thank you Mrs. Stocker for this RE themed cafe! Parents and children had a wonderful time creating sculptures from scrap metal and various other materials today! Kate Munro then gave the adults a taster session in welding! Some amazing results guys! Well done! The beauty of picture books. can enhance the joy of sharing a story with each other. 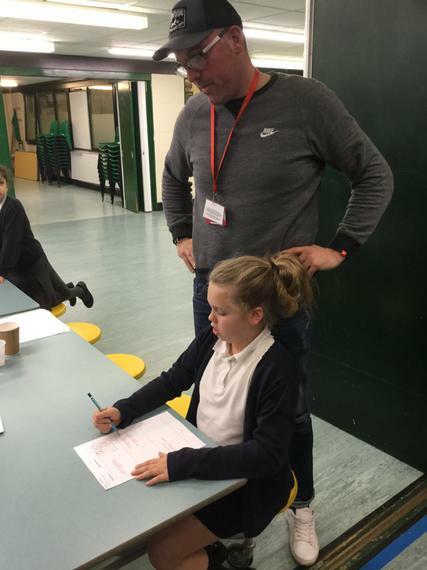 Mr. Snadden did a great job of explaining some pretty tricky grammatical terms today and making it fun to learn how to use them! Can you read some of the results? Well done everyone who had a go and thank you for coming! Getting to grips with your grammar! Great fun had in Class 9 making art with dots! Wow! What a crowd! Thank you so much to all who attended! We had many more than expected and squeezed into Pippo room brilliantly! Mr. Burrows ran an awesome cafe informing us about all the wonderful things we can make and design in DT. He read a great story about the aspirations of young engineers and set us off on a making challenge! Everyone had great fun and the photographs show us the fantastic results! Year 1's Minibeast Learning Cafe! What a fantastic afternoon Year 1 had at their cafe! Learning all about minibeasts and then hunting for them in the garden! 'What a lovely event' said one of the parents! 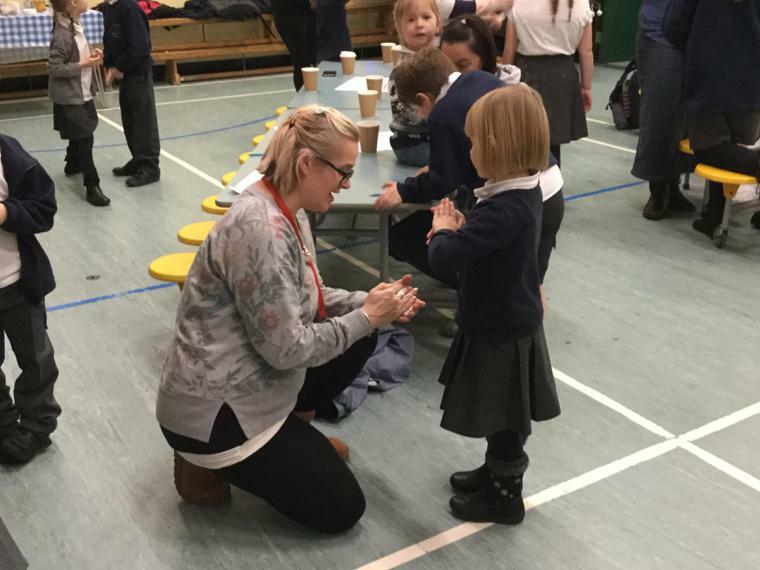 'Lovely to come in and join in with the children's activities'! Look forward to the next one! We love your clay creatures! WOW! What a busy week for the Cafes! Years 5 and 6 Geography Learning Cafe - 'Joy is Round'! A brilliant example of how to make this subject relevant and fun! turn rubbish into a football! The more serious lesson being the ingenuity of African people in making footballs of their own during the 2010 World Cup because they couldn't afford real ones. We then tested them on a willing goalkeeper and everyone had a great time! Lots of learning going on in the cafe! Hooray! We have started our Learning Cafes with a great one led by Mr. Cooper this week! 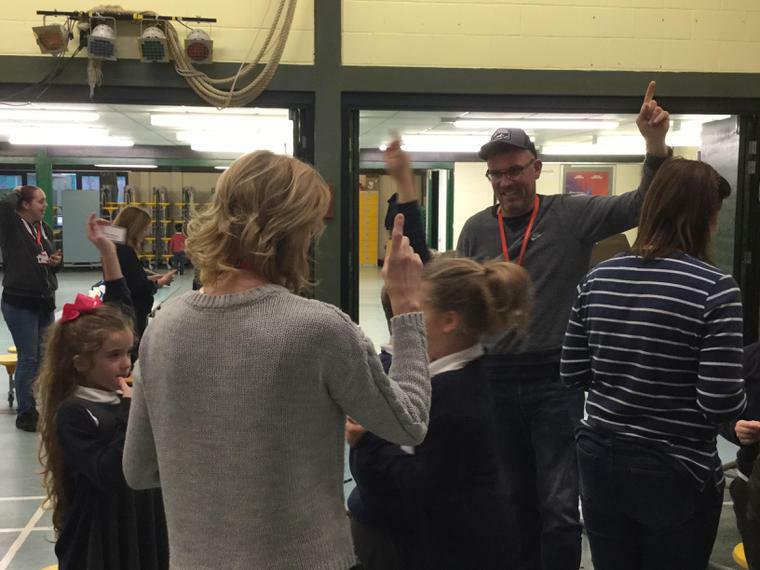 Year 3 parents were invited to attend a 'Ukulele Cafe' on Tuesday afternoon and learn a few basic chords alongside their children. What they didn't know was that the session would end with a performance in front of the rest of Year 3! Look out for the next Learning Cafe near you! Miss. West had a class cafe about outdoor learning. Looks like they had lots of fun doesn't it?! 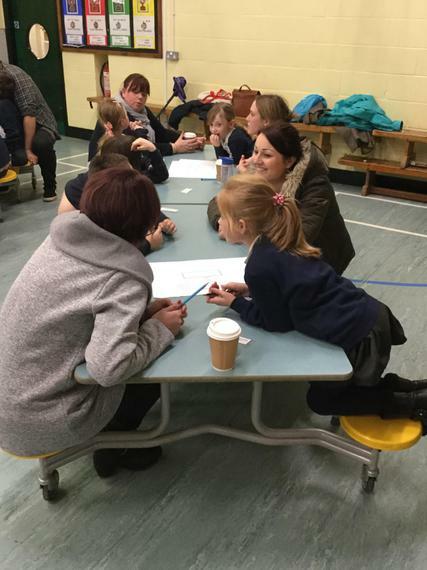 Thank you to all the year 4 children and parents who came to our Learning Cafe last week! 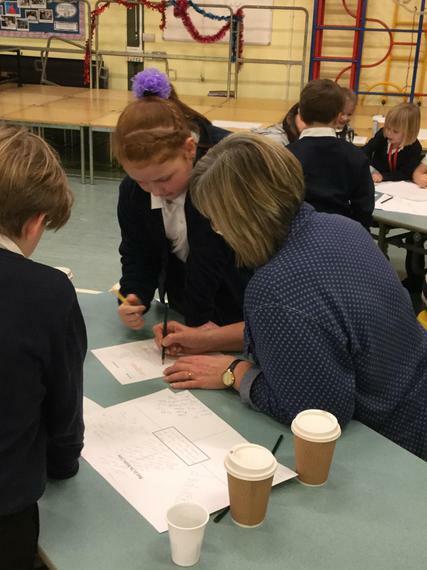 Here we are busy partitioning, using a multiplication grid and generally having a good time learning and sharing new skills taught to us by Mrs. Stocker! Thank you to those of you who show an interest in our Learning Cafes. They have all been great fun and the feedback has been very supportive. We will continue to try and offer you a variety of cafes and I know that the Art Cafe is particularly popular. We will look at offering more of these in the future so we can increase the opportunity for you to attend. Apologies if you didn't get a place this time, but keep an eye on Parent Mail for news of the next one! 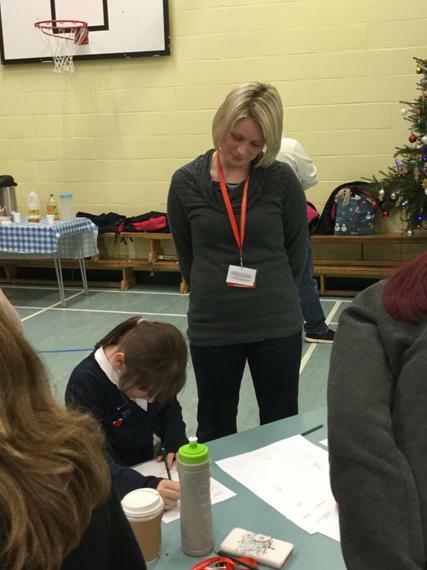 Thank you to all parents and children who took part in our 'Spud City' learning cafe. It was a great success. Look at the amazing buildings we carved from potatoes! 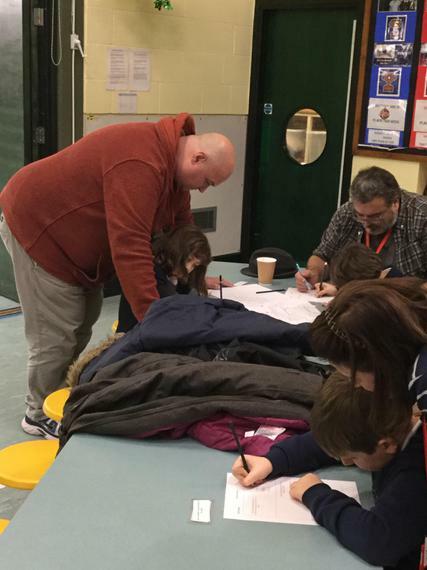 Parents were invited to come and find out about computing and coding! Hopefully they discovered that it is not as scary as they thought and had a good time with their children! Some very studious shots here! Another fun learning cafe took place in the hall today. Mr Groves and Miss Parish showed the children and parents lots of simple fun games to help with co-ordination, balance and agility. Everyone made a healthy snack and the children received a medal for their hard work.... and the grown ups had a cup of tea! Well done everyone- great to see you.